ABOVE Hanging out with Ann Gee and talking about our favourite illustrators, teaching in design schools and vintage typewriters. On the left is the new Marshall Cavendish edition, illustrated by her. On the right is the original Super Cool Books edition, cover illustrations by my son. For the new edition of our Sherlock Hong series, I was hoping and wishing that our publisher Marshall Cavendish would get not just an illustrator or artist but an honestly awesome person who would not only understand what it would feel like to step into the Sherlock Hong world and experience the thrilling adventures along with him but also go beyond the job of drawing lines and shapes and body parts and instead create magical pictures so fresh and vivid that we immediately feel as if we've been close friends with this handsome boy detective Sherlock Hong forever. Thank you, Ann Gee Neo. 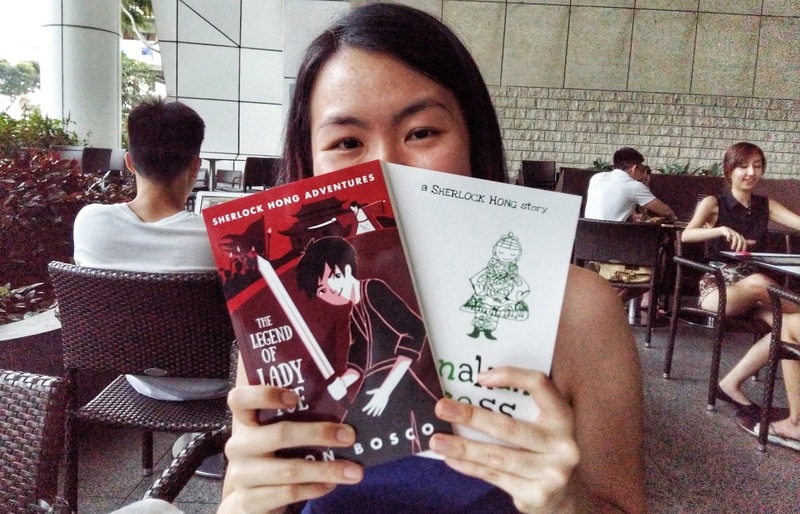 I'm a full-time illustrator who is based in Singapore. Most of my work is done for companies, advertising, etc but my one true love is illustrating children's picture books. I also teach as an adjunct lecturer at a local polytechnic. I am an active member of the OIC (Organization of Illustrators Council Singapore). I'm an avid consumer of books. And I have a high tolerance for weirdness. 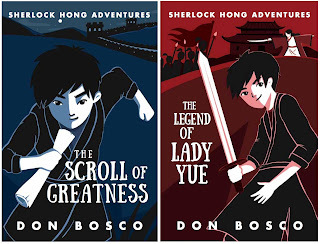 How would you introduce the Sherlock Hong series to a friend? 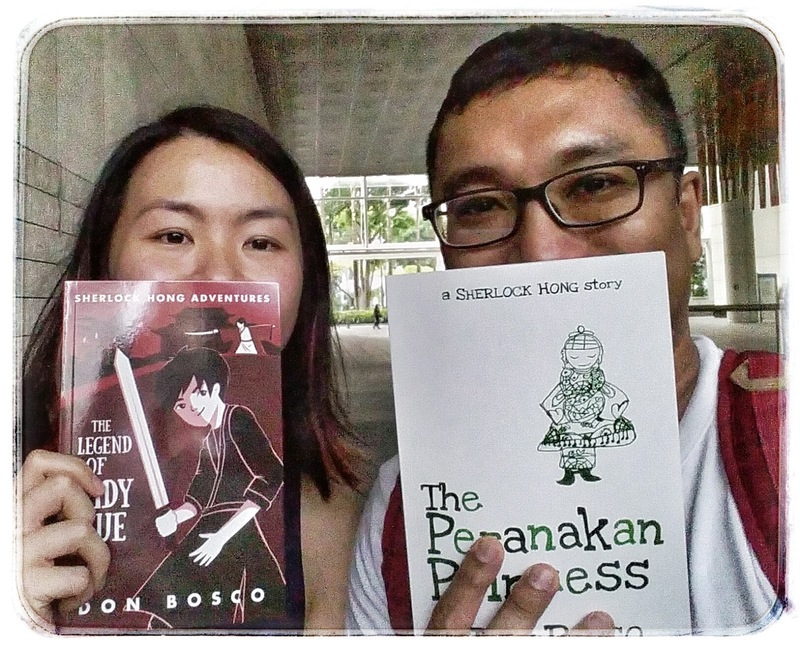 Sherlock Hong is a mystery/adventure series set in Singapore in the late 19th century, with mysteries from all over Asia waiting for Sherlock to solve. 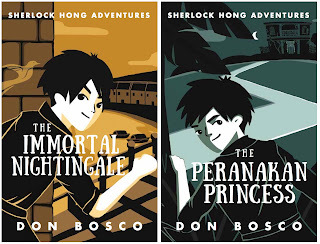 What was your illustration process for the Sherlock Hong covers? The timeline for this project was pretty tight as I was teaching 2 classes during the period when I took on the Sherlock Hong covers. I started to ask some questions about specific scenes in the book like where it was located, what the character was doing, etc. At the same time, Don sent some references to other book covers that he had seen and liked, as well as described how Sherlock Hong should look like in more detail. Having all that information helped me to generate a pretty good idea of the general tone of what I feel the cover treatment should be like. 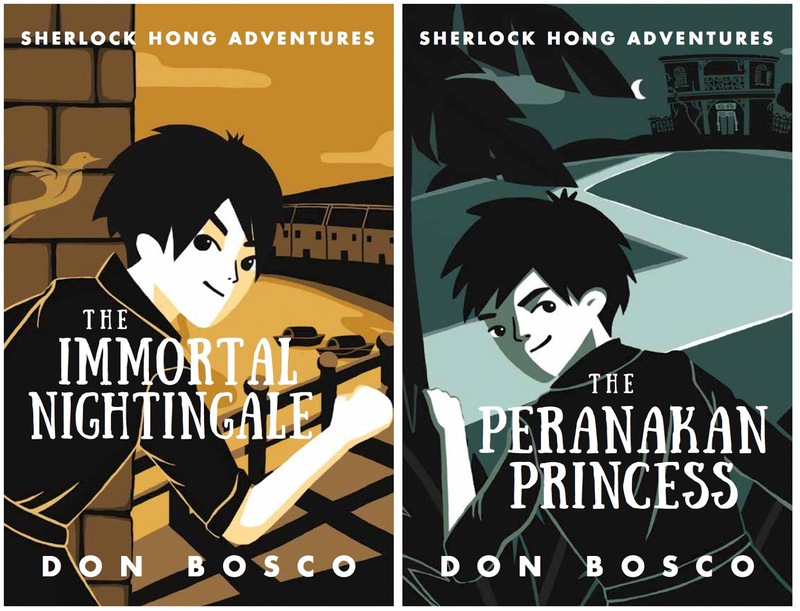 The fact that it was a series made me feel that the covers should be quite distinctive in the way that it looked, but should be different enough to let the readers know that each book had a different story. I was looking at noir movie posters for inspiration and felt that the harsh shadows and light really accentuated the mystery/adventure aspect of Sherlock Hong. Once that was established, I decided to give each cover a distinct colour based on the mood and background of where the story was located. Wow, okay, it really worked out nicely! And what was the most interesting part for you? Trying to come up with the Sherlock Hong character. It was my first time doing a handsome/suave human character so it was a little challenging for me. Most of my characters are kinda quirky/cute/whimsical, so it took a few tries and also some imagining to come up with a Sherlock Hong that would make the hearts of tween/teenage girls flutter and tween/teenage boys look up to.